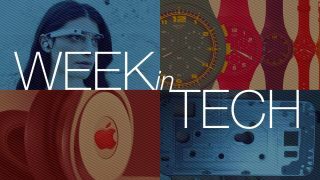 This week we've mainly been staring into crystal balls, because all kinds of interesting technology is imminent. The Apple Watch is just weeks away and the Samsung Galaxy S6 is closer still - and while Google Glass has been binned the project is continuing under new management. Not only that, but we've discovered all kinds of exciting things about home entertainment kit and unearthed details of the latest Android app developer: Apple. The Apple Watch may have a new rival: fashion watch firm Swatch is building its own smartwatch, and as Hugh Langley explains, it "will hit the Apple Watch where it really hurts: the battery. Swatch's device will communicate with the internet 'without having to be charged'." Expect a launch just before Apple's effort ships in April. Don't get too excited - Apple isn't shipping iPhones running Lollipop. But it is building its very first Android app, based on the Beats Music service it acquired last year. Hugh again: "Rather than using the existing Beats app, Apple is developing a new app, baking in Beats' technology and content, that will replace the current Music app on iOS devices" - and it's working on an Android version of it too. That's not the only interesting Apple rumour we've encountered this week. Details of the new Retina MacBook Air are continuing to leak, and we might see the new, ultra-thin laptop as early as this month. We're expecting a 12-inch screen and a case so thin you can shave with it. Google Glass is dead. Long live Google Glass! The search giant's electric specs might not have set the world on fire so far, but while the existing programme has been canned that isn't the end for the fancy facial furniture. Former Apple man and Nest creator Tony Fadell is now in charge of the project, and he's working on it with jewellery designer Ivy Ross. While Google concentrates on AR (Augmented Reality), Samsung's focus is on VR - and Hugh Langley spent a week with the Samsung Gear VR headset fixed to his face. It needs the Note 4 to do anything and the tech clearly still has some way to go, but it's a great showcase for VR. If you're still waiting for the Android Lollipop 5.0 update, it's time to get annoyed all over again: Google is releasing an even newer version, the cunningly titled Android Lollipop 5.1, which will start rolling out to devices this month. Expect battery life improvements, tweaks to Material Design and better memory management. Samsung's incoming Galaxy S6 smartphone is nearly ready, and that means leaks are coming thick and fast. We've seen its metal shell, which looks awfully like the iPhone 6, we're almost certain that the official launch will happen on March 1, and we're expecting to see a Galaxy S Edge version with a curved display too. As we predicted back in December, EE is now BTEE - BT has bought the EE mobile network, adding mobile broadband to its portfolio at a cost of £12.5 billion. The deal won't actually go through until next year, and the competition commission may have some input - especially given that Three has just snapped up O2. 2015 is going to be a really big year in home entertainment, with innovations including HDR TVs, High-Res Audio and Quantum Dot Displays. If you haven't a clue what any of those things mean, we can help: we've sifted the great from the gimmicks to create a guide to everything you need to know about home entertainment in 2015. Don't buy a TV, speaker system or streaming box until you've checked it out, because exciting things are imminent.